The town of Mandelieu-la-Napoule is situated on the Cote d'Azur in the Alpes-Maritimes department of France, between Theoule-sur-Mer and Cannes. It is in an attractive location, with the Mediterranean to the front and hills behind the town. There are two parts to the town - the seafront at La Napoule itself and the town of Mandalieu-la-Napoule a little way inland. It is the sea facing La Napoule that is of most interest to visitors. 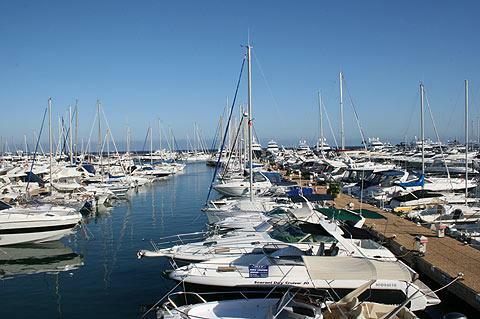 There are several ports along the sea front here, from the small port at Riou de l'Argentiere to the much larger ones at Port de la Rague and Port La Napoule. 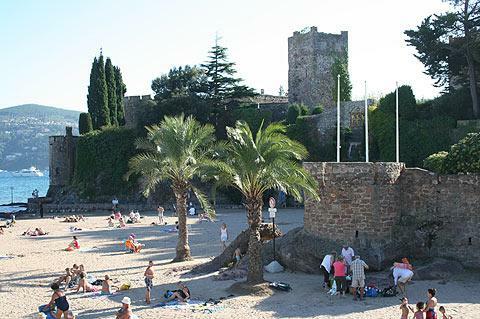 The beach areas, although not very extensive, are sandy and popular and have been awarded the 'blue flag' award for cleanliness and facilities. 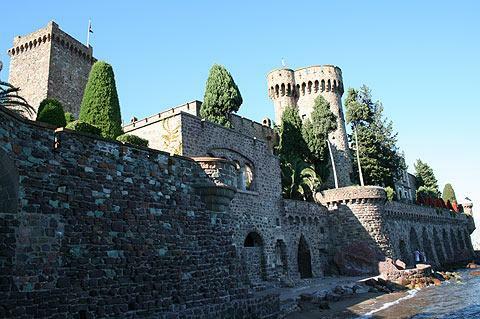 Much the most imposing monument here is the Chateau de Napoule, at the southern end of the beach. Although a small part of the castle (the Saracen Tower) dates back to the 11th century, most of the castle you can see is a 20th century reconstruction of a 14th century castle destroyed during the Revolution. The work was carried out by Henry Clews, an artist who owned the castle and whose work you can still see exhibited inside. Local markets, a good chance to sample many local products, are held in Mandelieu four times a week - but not always in the same place. Wednesday and Friday mornings the market is in the Place des Combattants in the town centre, thursdays it is in La Napoule at Place Saint-Fainéant, and saturday mornings in Place Jeanne d'Arc in the Capitou region of the town. 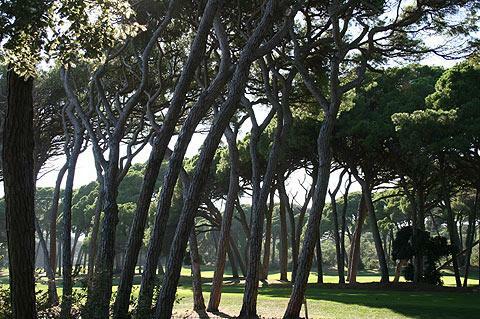 There are also several large parks in the town, which is highly regarded for its mimosa trees (several events are held to celebrate the mimosas at the end of February each year). 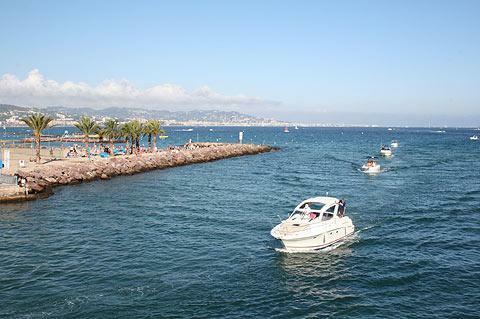 Various boat trips can be arranged from the harbour area of Mandelieu-la-Napoule, to see the nearby coast and islands, while the footpath that heads south-west along the coast can be followed about two kilometres to reach Theoule-sur-Mer. Away from the water, be sure to leave time to explore the hills that surround the town. The Mont San Peyre is a volcanic dome to the south of Mandelieu-la-Napoule and near the coast which has an easily followed pathway to the summit (there is a viewpoint and table d'orientation on top of San Peyre), while the open wooded slopes of Mont Turney are also close to hand. A little further afield both the Massif de l'Esterel and Massif du Tanneron offer further opportunities to enjoy the natural environment and for some great views along the coast. 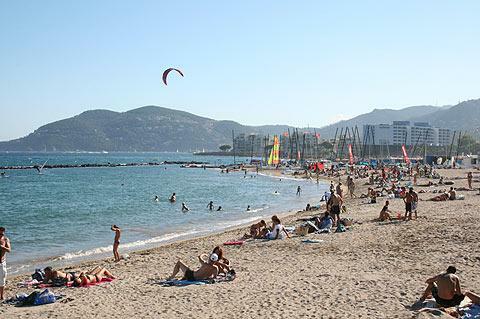 The scenic coast drive from Mandelieu-la-Napoule to Saint-Raphael is very pretty, with the red mountains of the Massif de l'Esterel to one side and coves and beaches to the other. (The road east from Mandelieu towards Cannes is rather industrial.) Mandelieu is also one of the scenic highlights along the popular Route du Mimosa.